Fair Oaks Chicken Festival is tomorrow! The annual Fair Oaks Chicken Festival is tomorrow, September 21, from 10:00 a.m. to 6:00 p.m. Fair Oaks Blvd will be closed from Bridge Street to Winding Way, so there will be no parking in the village on Fair Oaks Blvd, but there will be parking at the Scandinavian Designs parking lot at 4301 Sunrise Blvd. A list of activities can be found on the Fair Oaks Parks & Recreation website: http://fairoakspark.org/events/chicken-festival/festivities-new/ Come and enjoy the food, the craft booths, and all the fun activities. 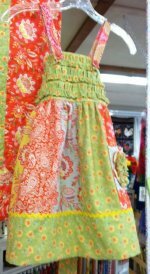 As always, our chicken fabrics will be 25% off the day of the festival. 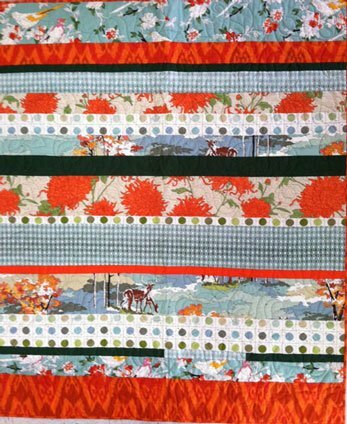 And remember, tomorrow is also the last day of our 25% off sale on cotton flannels and children's fabrics. 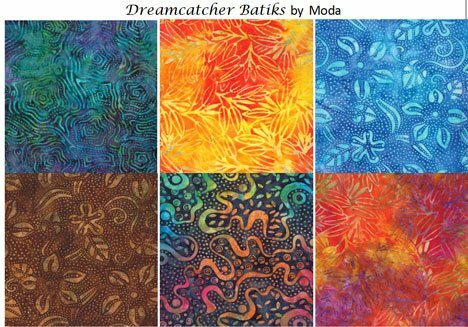 We have just stocked our batik section with 20 beautiful bolts from Moda's Dreamcatcher line. 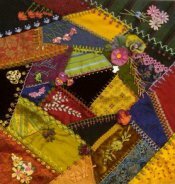 Here's a sample of these beautiful fabrics. 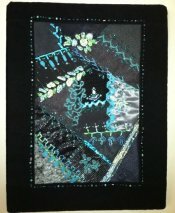 And in August 30 newsletter, we showed you the High Street line, also from Moda. 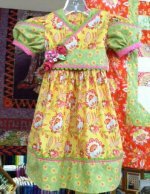 Well, our staff liked this line so much they've made two adorable dresses and a very cute quilt! We have the patterns for all of these in the shop. You have to see these in person--the pictures don't do them justice. 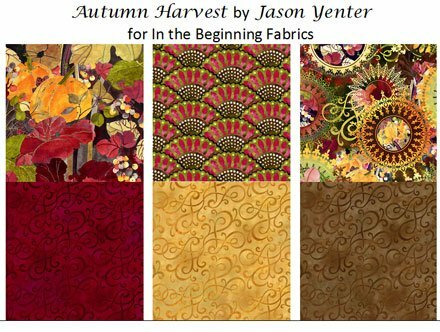 Another arrival that's been very popular is a fall line from Jason Yenter -- Autumn Harvest. We've had to reorder the main print already! 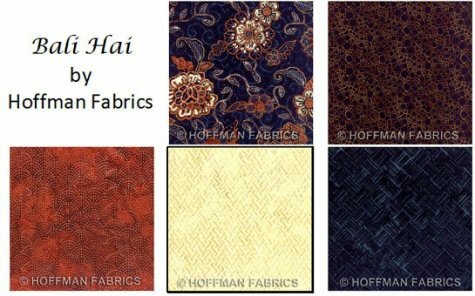 From Hoffman Fabrics, we have Bali Hai, a tropical collection that would make gorgeous quilts, purses, and placemats. 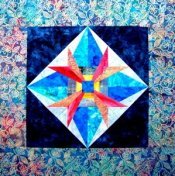 And, we've added new blenders, buttons, Valdani threads, and felted wools, plus a new quilt kit from Moda's Lush Uptown line.